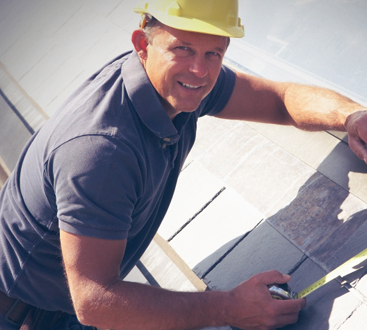 We are your local New Jersey Shore professional roofing company. As your trusted partner in roofing care and services, we want to be sure you home is always safe. Part of this is knowing when it is time to replace your roof. While roof replacement becomes a necessity when owning and renting a home, not everyone knows what kind of roof they need next. This is especially true for people who live in places known for severe weather conditions. 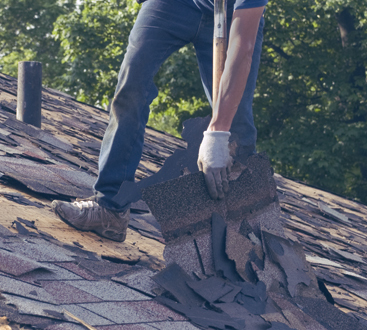 If you find yourself having to replace parts of your roof yearly because of weather damage, you may want to consider a different roofing solution. In theory, a stronger roof will save you from annual expenses which is why many people consider investing in a metal roof. If you are considering a metal roof the next time you are looking for roofing services in the Jersey Shore area, please be fully informed before making that decision. Metal roofs are not a common type of roof and so many myths have begun to circulate. As your leading experts in the roofing industry, we want to make sure our clients receive the best information out there before making that decision. Myth: Metal roofs put your home at more risk for lighting strikes. Truth: Yes, metal conducts electricity. This does not mean that your roof is at a higher risk for lighting strike, however. Metal is used to send electricity from one place to another, but it does not necessarily attract electricity to it. So, your metal roof is not at any higher risk for a lightning strike than your average roof. In fact, since metal roofs are non-combustible, it is actually safer than some other roof types. For example, would you rather live in mountain home that has a wooden roof or a metal roof during high fire season? You see, metal roofs may actually be a better option for certain folks. If you’ve been concerned that a metal roof would make you less safe because of lightning, rest assured that this isn’t the case. Myth: Metal roofs are noisier during rain and hailstorms. Truth: This is not the case. While we can see the reasoning behind it, like when comparing to experiences of metal roofs in a shed or a barn, a metal roof over a home is very different. When your local roofers install a metal roof, it is placed over layers of insulation and attic space. A metal roof is not any noisier than the roof types you are familiar with. Myth: Metal roofs are susceptible to damages caused by hail, fallen branches, etc. Truth: Yes, metal roofing is stronger than most types of roofing materials, but that does not mean that you will forever be saved from hail and other types of damage. One large hailstorm can still dent your metal roof. (For example, consider your car which is also made of metal; it’s not impervious to hail damage either.) A metal roof may be stronger, but it is not invincible. Also consider that the biggest drawback to owning a metal roof is that when you do inevitably get a large dent, it is more noticeable against the smooth metallic surface versus a roof made from asphalt, wood, or other material. Even minor damage, discoloration, debris, and dirt can be visible on a metal roof. Myth: A metal roof means you can no longer get on top of and walk around on your roof. Truth: It is absolutely still possible to walk around on your metal roof. Depending on your particular roof though, you may need to know how to avoid causing damages. Please contact 1800 Roof Plus for more information before attempting to walk on your roof. Myth: A metal roof will make your home colder during chilly seasons. Please consider the benefits and drawbacks of installing a metal roof for your home. As with all things in life there are going to be pros and cons, so think through what it is that you hope to get out of your roof and do a bit of research before making a final decision. Of course our team of experts is proud to offer advice to ensure that you make the right decision for your specific situation. If you are unsure of what roofing material is best for you and your family, our roofing experts at 1800 Roof Plus are ready to help. Please reach out to us today and we will work with you to make certain that there’s a good roof over your head. After all, your home is where you go for rest and relaxation so it only makes sense to be certain that it is protected from damaging storms and sever weather. Contact us today to get the help you need. We look forward to hearing from you!